Manufacturer of a wide range of products which include printed shorts for men, trendy men cotton short, latest cotton printed shorts for men, shorts cotton camouflage men casual wear, mens casual wear shorts and mens casual shorts. will surely lend you a smart look. 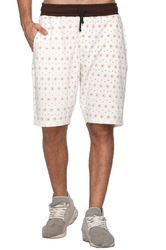 Featuring regular fit, these cotton Blended Printed shorts from house of Harbor N Bay will offer sheer comfort throughout the day. Stay absolutely relaxed by teaming it up with a cool white T-shirt and sneakers. 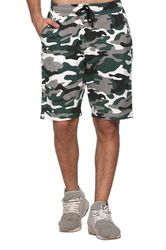 Dress up your son in style and make him look effortlessly cool in these Army Print Short from HARBOR N BAY.Made from cotton have a Two side pocket with zipper styling, these shorts will keep you comfortable throughout.These Shorts can be teamed with a pair of brown sandals and a white T-shirt to complete his cool look. 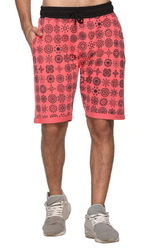 These multicoloured Printed shorts by HARBOR N BAY promise excellent freedom of movement. 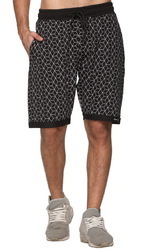 Decorated with a print aLL Over, these shorts are detailed with an elasticated-drawstring waist for a Regular fit. Tailored in regular fit from Cotton Blended. these shorts will surely lend you a smart look.